Some zodiac signs just don't have a care in the world. Depending on the people I’m around and the situation I am in, I am either a social butterfly or a total wallflower — and a lot of why I am the way I am can be determined by my zodiac sign and astrology. Sometimes, I’m outgoing and loud when I’m with my friends and other times, I feel more introverted. The same goes for the times I’m around strangers and acquaintances. Sometimes, I have no problem striking up a conversation with someone I’ve never met before and other times, I psyche myself up so much that I’m nervous before I even see someone I don’t know. I’m like a… social wallflower, as it were. I know some of you can relate to this weird balance between being shy and not care, but the rest of you tend to stick to one side more than the other. Being shy is NOT a bad thing. People always seem to connote that shyness is the same as being weird or a loser or someone who has no friends. Not true! Being shy just means that you’re probably more introverted than extroverted — or if you’re stuck in the middle like me, you could be ambiverted — and you usually prefer to spend time with close friends and family (or your pets) than with people you don’t know. More outgoing people will be more comfortable making friends with pretty much everyone they meet, even if “meeting” means being squished up next to each other on public transit. Hey, still counts! And just because you like being a little more talkative and uninhibited doesn’t mean you’re exhausting or annoying — you’re just someone who doesn't care and loves every second of being the center of attention where everyone can see you clearly. The zodiac signs who describe themselves as more social and confident (or have their horoscopes describe them this way) tend to be more of the don't care peeps. The zodiac signs who are more insecure and nervous — whether they feel this way about other people or just get caught up in their heads — are more shy and wallflower-esque. I tend to like both types of people equally because I feel like I can relate to parts of them, as well as teach myself something new. For example, sometimes it’s better to take risks in your professional life and speak up for yourself (and not care what others think) because you want to prove you’re a valuable member to your team. Or learning how to be more thoughtful and introspective, rather than just say whatever’s on your mind (because that doesn’t always turn out well). Of course, it might not always be easy to put these things into action if you’re not comfortable with it, but isn’t life about getting out of your comfort zone every once in a while? I think so. Keep reading for the shyest signs of the zodiac — and the ones who don't care, according to astrology. 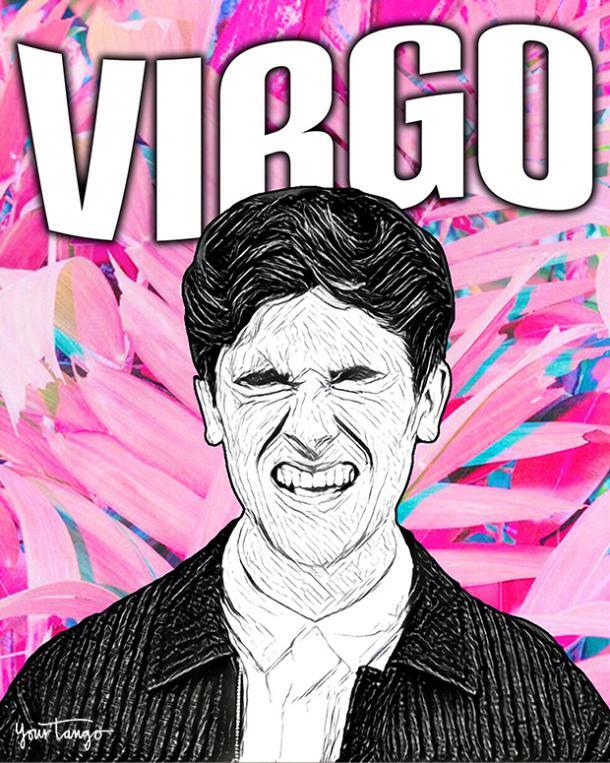 Virgo has this thing about not wanting to draw attention to himself unless absolutely necessary. He’s more of a behind-the-scenes type of person who knows how to get stuff done, but doesn’t need to be recognized for all of his work. For him, as long as he knows he’s done a good job, that’s all that matters. And speaking of wanting to stay in the background, Virgo has a hard time opening up to others when he’s in an unfamiliar situation. Unless he’s completely comfortable with the people he’s around or the place he’s in, he’s going to get shy and clam up. It’s not a flaw at all, he just prefers to be where he can be himself without overthinking about the whole uncomfortable position he’s in. 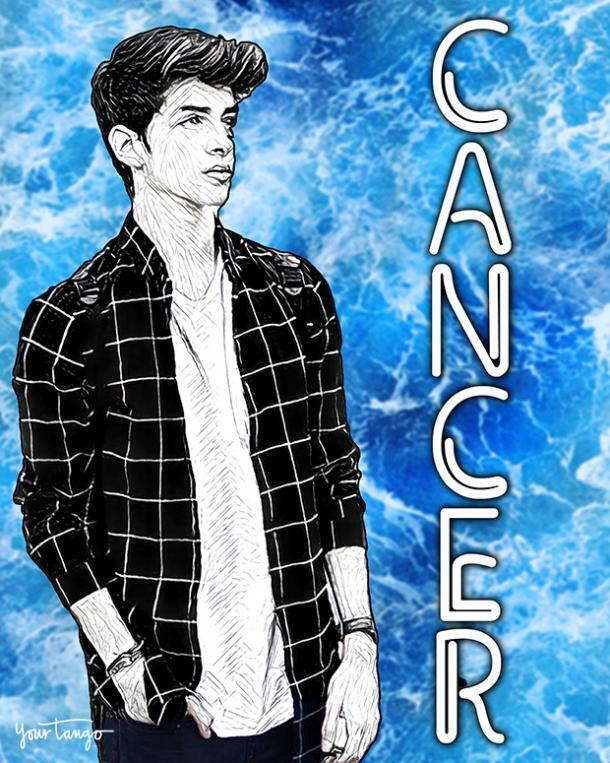 Cancer’s shyness comes from his feelings of insecurity. He tries very hard to make sure that he looks good and feels good, but sometimes, that isn’t always enough. Whether it’s a first date or a new job, he tends to get shy because he feels like he’s going to stand out around strangers, and not in a good way. Cancer’s suspiciousness only throws fuel onto the fire that are his insecurities, too. Even if you try to tell him that everything is okay and that there isn’t anything to worry or stress over, chances are he isn’t going to believe you until he can prove it himself. He isn’t one to let his shyness control his life, but he can’t be comfortable until he knows for sure he’s being insecure over nothing. Pisces is no stranger to being shy, usually because he often worries about everything. Instead of enjoying the company he’s with, he gets too caught up in his head and lets his thoughts wander until they convince him that he should feel shy and awkward. For this reason, Pisces doesn’t often put himself out there for fear of worrying himself into a situation he’s no longer comfortable in. 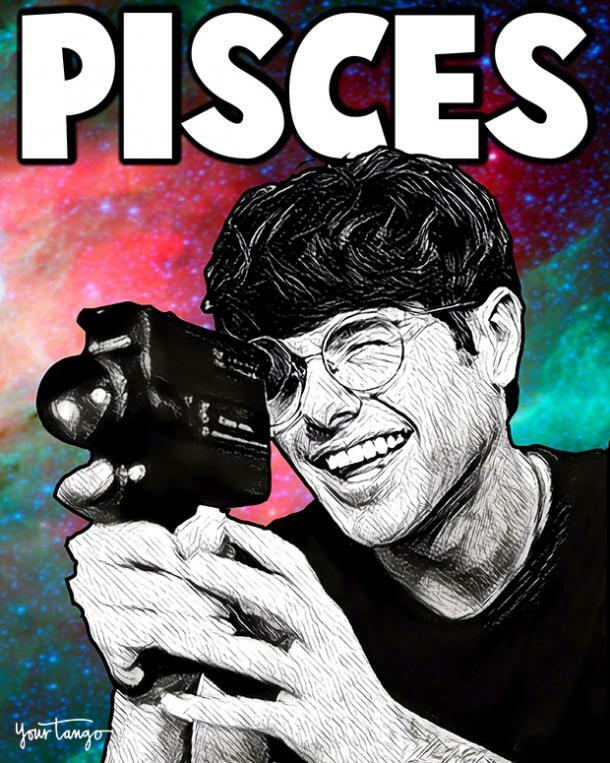 Pisces may be able to trust everyone else in his life – and maybe a little too much — but he has a hard time trusting himself. When he has these almost-crippling bouts of shyness, it’s because he doesn’t trust that he’s going to be okay, no matter what happens. Some situations are easier than others, but all in all, Pisces just doesn’t know how to be louder than his thoughts. 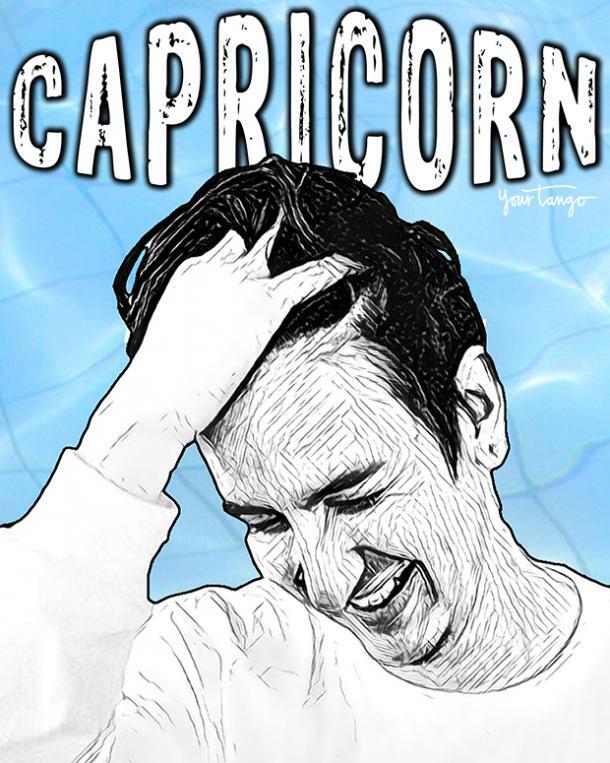 Capricorn is a very “keeps to himself” kind of guy, which makes it easy to see why he would get shy pretty easily. He doesn’t like being the type of person to make a scene or draw unwanted attention to himself, so he finds comfort in being a wallflower. For him, this isn’t a weakness, but it can still make it hard for him to speak his mind when he does have something to say. For example, when he’s at work, Capricorn likes to keep his head down and do the best work that he can. But if it comes time to talk about promotions and pay raises, he gets shy about having to put himself out there and ask for what he wants. If he wants something badly enough, he’ll push through his shyness, but it can still be difficult for him all the same. It may seem like a surprise to some, but Scorpio is one of the shier zodiac signs. 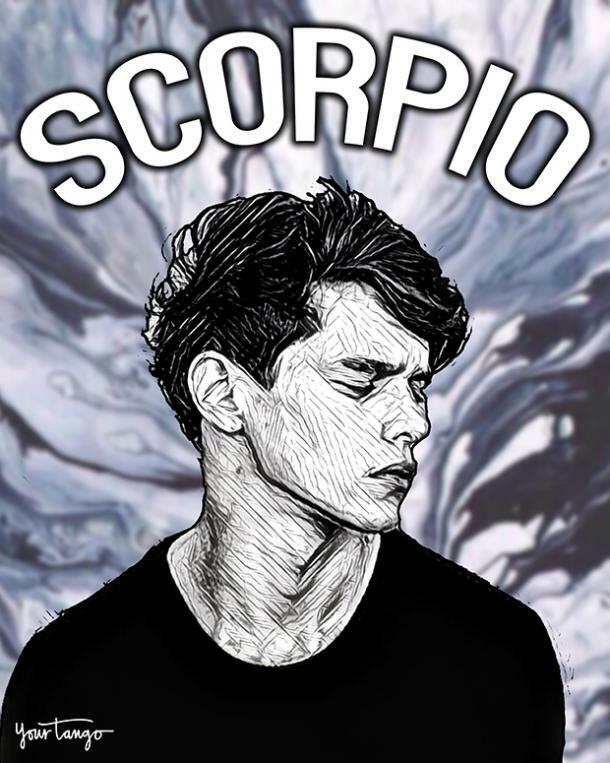 Scorpio — like most of us — don’t have a problem opening up to family and friends; basically anyone he’s comfortable around. It’s only when he doesn’t know the person or is in a room full of strangers that he starts to get shy. Once he warms up to you, he’s a very friendly person, but he also isn’t going to be the first to initiate a conversation. What makes it hard to tell that Scorpio is a bit shy at first is that when he’s out with friends, he seems like a very lively, approachable person. In reality, it’s only because he’s with these people he feels comfortable around. If he’s out alone, he’s almost unrecognizable because keeps to himself until he can feel out the situation a little better. 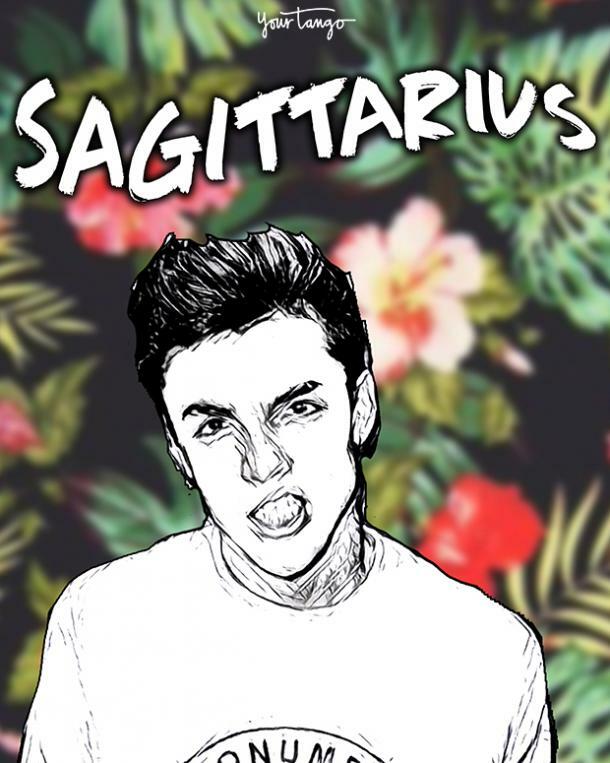 Sagittarius’ comfort level is similar to Scorpio’s in that he’s much more outgoing when he’s with people he knows best. There are times when he can get shy, but definitely not as often as some of the other zodiac signs in this list. He’s the type of person to want to make his own impression on other people, not let his shyness do it for him. In other words, Sagittarius will get out of his comfort zone and push through his shyness to show that first impressions aren’t always right and that he’s able to adapt to a new environment. This skill certainly takes some practice, but Sagittarius wants to be friends with everyone, so he’ll let himself be shy, but he won’t let it control his life. 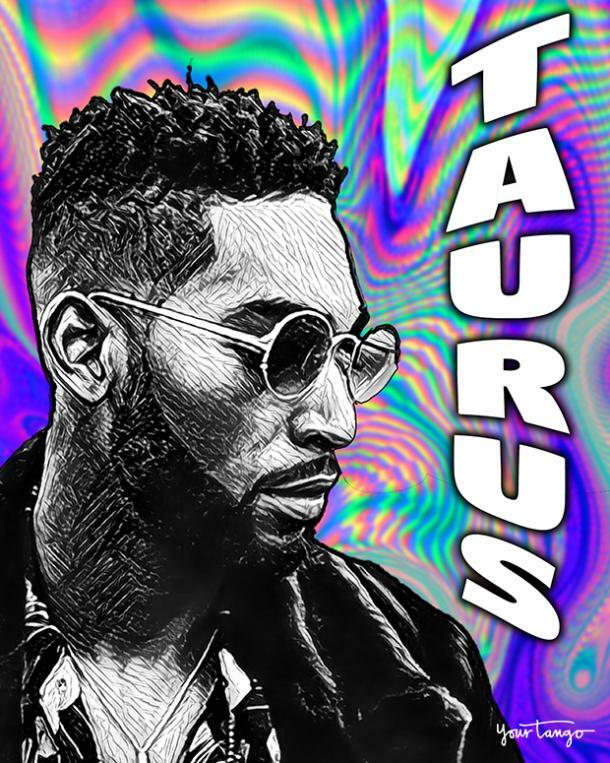 Taurus is one of the more sensitive zodiac signs who takes pride in being able to listen to his emotions and stay well within his comfort zones. Any little sign of discomfort and Taurus is out of there. When he gets shy, it’s really because he’s feeling awkward and uneasy. He’s not a fan of feeling insecure for whatever reason, and when he does, that’s when you see his more introverted side. Taurus also hates any big changes and bumps in his normal routines. So, when he’s expecting to be in a certain situation or place, he’s totally fine and outgoing. But when his plans change and he as to adapt to this uncharted territory, he gets shy and uncomfortable. He’s usually fine once he warms up to this change, but it still might take him some time. Libra is a social butterfly just dying to stretch his wings and get to know new people. 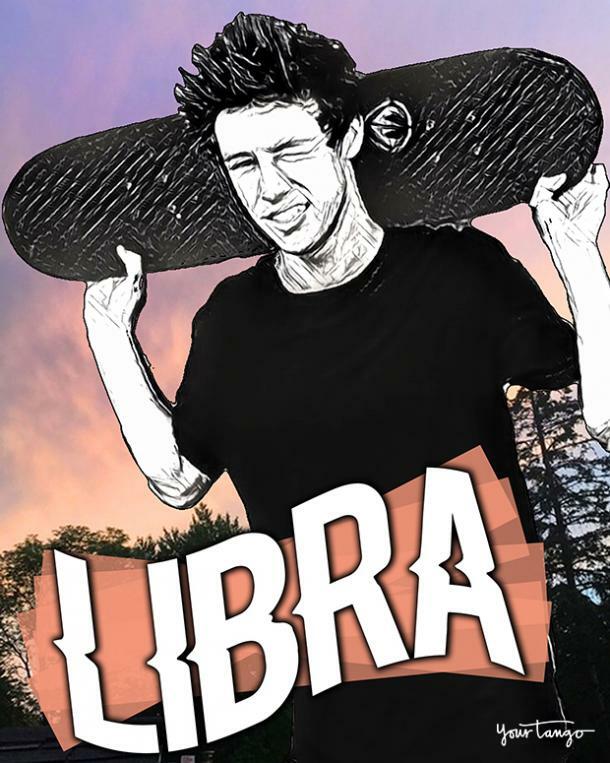 There’s almost never a situation where Libra is out in public and doesn’t end up striking a conversation with someone, so being shy is not something he experiences. It’s not that he doesn’t ever get shy, it’s that he’s so used to being social that there’s no reason for him to clam up when he’s so used to being outgoing. Plus, Libra really doesn't care what you think of him. If he embarrasses himself in public or says the wrong thing, no problem! He just shrugs it off like a boss. He’d rather have fun and enjoy himself no matter what he does instead of get caught up in the little embarrassing things that people do every single day. Why would he waste his time? It could end up being a good story to tell someone new anyway. 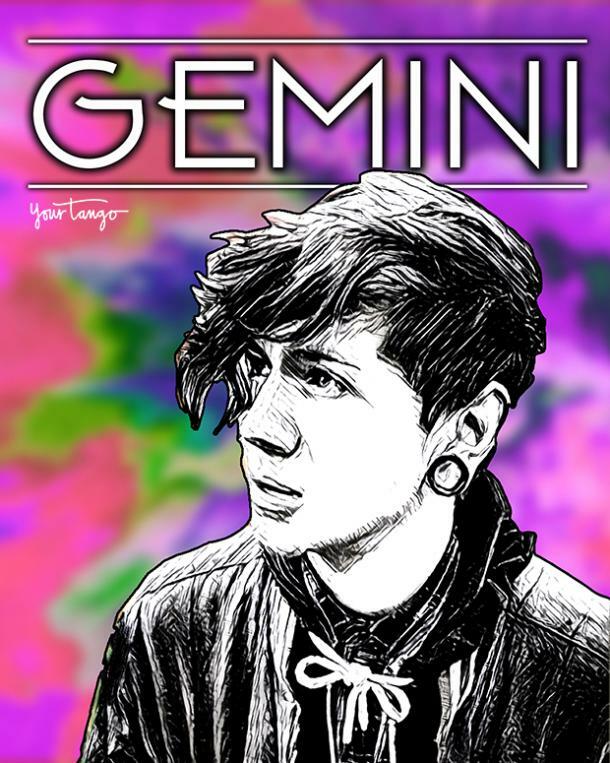 Gemini is very expressive and social, which means he’s always looking for a good conversation. And sometimes, he gets bored with the people he already knows, so what better to keep the convo going than to strike one up with someone new. As for shyness? Gemini’s never heard of her and doesn’t really care to. Unlike some zodiac signs, who need time to adjust to new surroundings or situations, Gemini is very adaptable, meaning he doesn’t feel awkward or uncomfortable whenever plans change on him. He’s also great at communication, so things like public speaking and interviews don’t seem to faze him or make him nervous. He’s just here for a good time. Aquarius is a very warm and friendly individual who’s always looking for someone new to talk to. 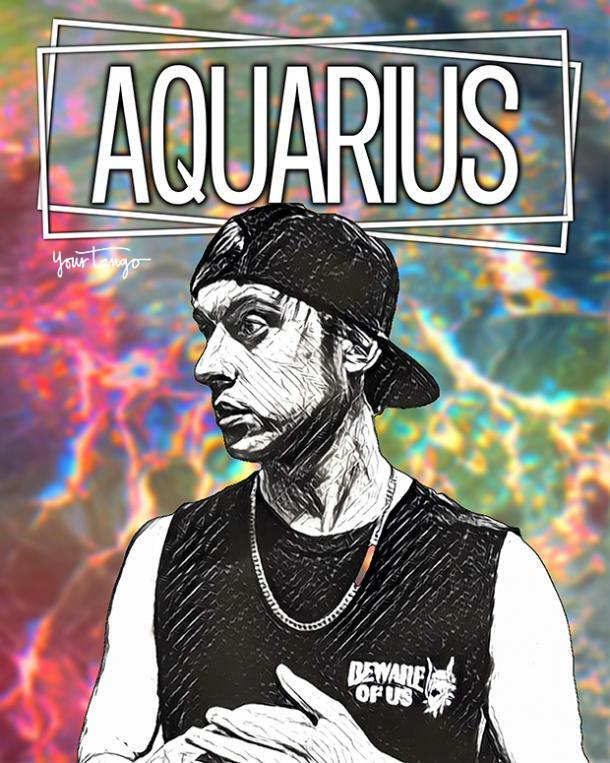 He finds conversations — especially deep conversations — with new people very enlightening and eye-opening, and you know Aquarius, he’s always looking for new things to learn. For him, being social comes naturally. Aquarius also appreciates people who respect that he might be a little different than they are. Sure, he really doesn't care what you think of him, but it’s still nice to know you’re not intentionally trying to make him feel awkward. Plus, Aquarius knows that everyone is bound to do something embarrassing at some point, so there’s no reason for him to sweat it or get shy about it. 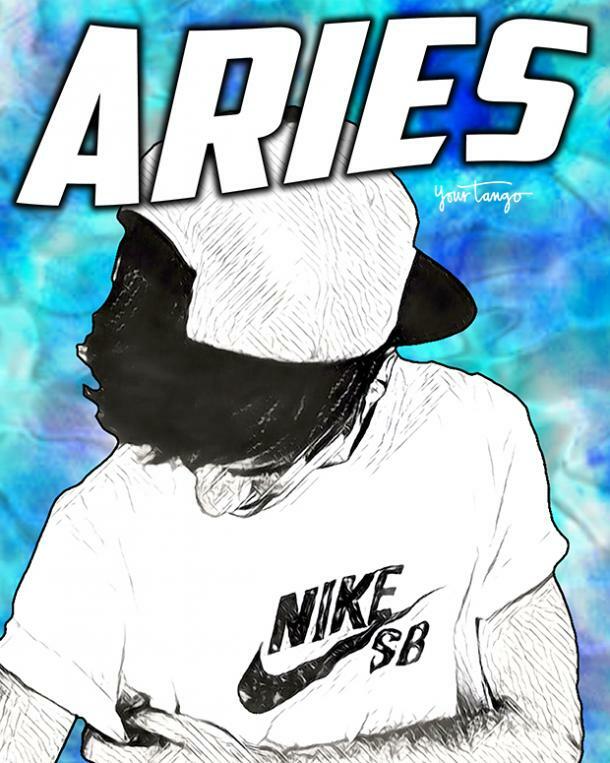 Aries is always looking for new people to meet – one, because it’s exciting and two, because they thrive on social situations. Aries loves having a social life and there’s no reason to get shy when your life revolves around having fun and being with friends. Plus, Aries is naturally confident, so shyness almost never crosses his mind. With lots of confidence also comes a lot of courage. If Aries can talk to new people without getting shy or even stand up in front of a group of strangers and speak, then he should also be able to not get embarrassed easily. Aries doesn't care because that’s just who he is. He feels like being shy is just another speedbump in his way to being the person he wants to be, so he makes no time for it. Leo absolutely doesn't care, period. I mean, how can you when you love being the center of attention, right? Leo doesn’t get shy simply because it would contradict everything he already loves about himself. He can make friends with pretty much anyone, he can have all eyes on him when he walks into a room, and he’s Leo – duh. 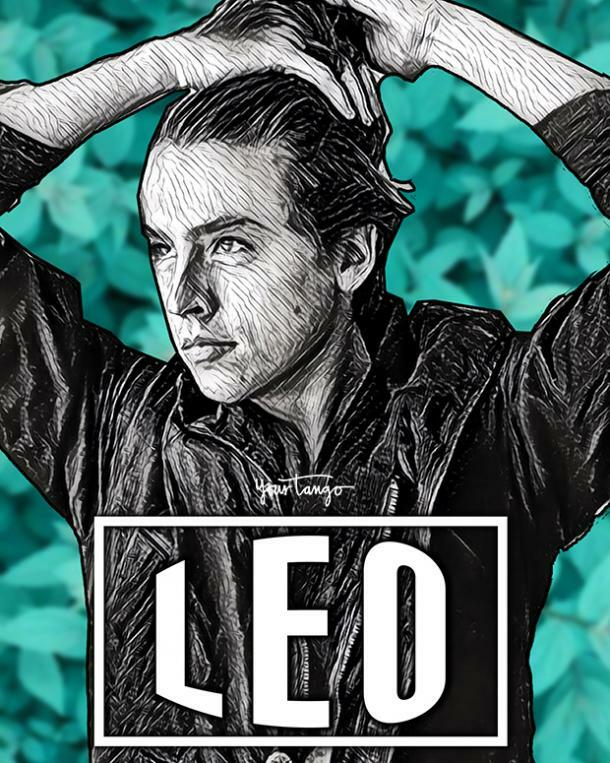 Leo is also dedicated to success and knows that you sometimes have to take risks and get out of your comfort zone if you want to succeed. So, there’s no embarrassment or shyness following him in his personal or professional life. If he wants to be on top, he has to be totally himself, courageous and confident and not afraid of anything. Plus, as stated before, he doesn't care what he has to do to be 100 percent Leo.